Holliston, MA Colantonio Inc. has reached a milestone, celebrating 40 years in the construction business. 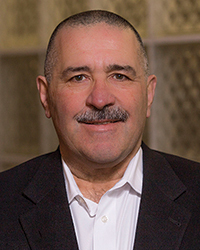 The company has grown from founder/CEO Fran Colantonio’s work as a carpenter to a $75 million general contracting and construction management firm. To celebrate, Colantonio invited employees, family, friends and business partners to the company’s home office for an outdoor harvest-themed bash, including a live jazz band. Over the past several years, Colantonio has excelled at providing comprehensive preconstruction services as the construction manager at risk, positioning itself as a major competitor in the education, historic renovation and affordable housing markets. They recently completed Hopkinton’s Marathon Elementary School two months ahead of schedule and are in the preconstruction phase for the New Sharon Town Hall and for the Petronelli Way Municipal Garage for the Brockton Redevelopment Authority. Colantonio also celebrated its 40th with a new logo and website.